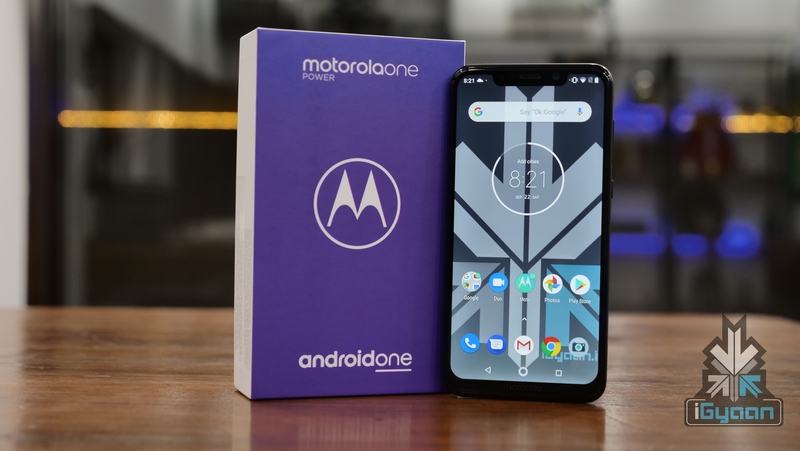 Last month, Motorola launched the Motorola One Power running on Android One. Being an Android One smartphone, it gets latest Android updates soon after Google rolls out one. 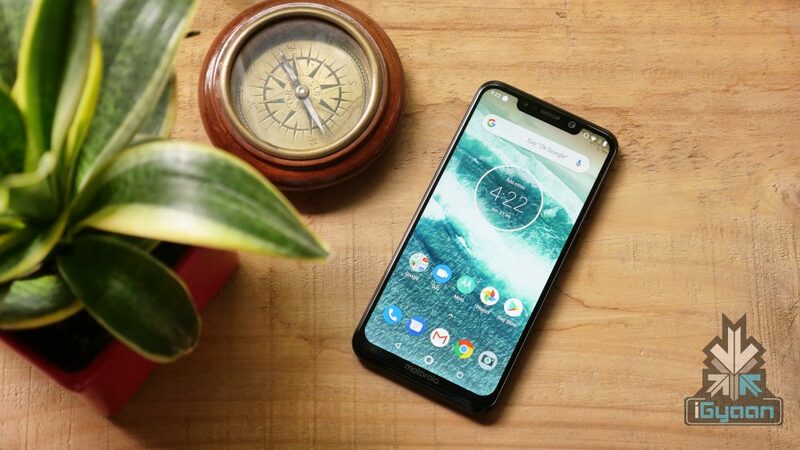 With its sturdy build and mammoth battery, the Motorola One Power is a serious contender in the mid-range smartphone market. It was initially shipped with Android 8.1 Oreo. And now, a recent listing on Geekbench suggests that the device will soon get the Android 9.0 Pie update. 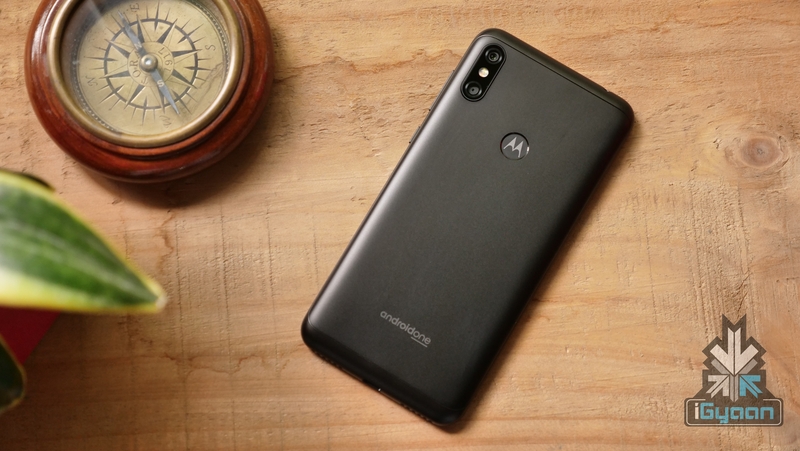 A Motorola One Power device was recently spotted on Geekbench running the latest Android 9.0 Pie. The benchmark was posted on November 2nd. 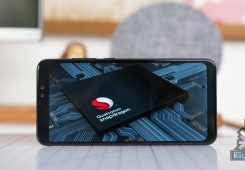 It reveals that the smartphone gets a single core score of 1274 while the multi-core score is 4508. 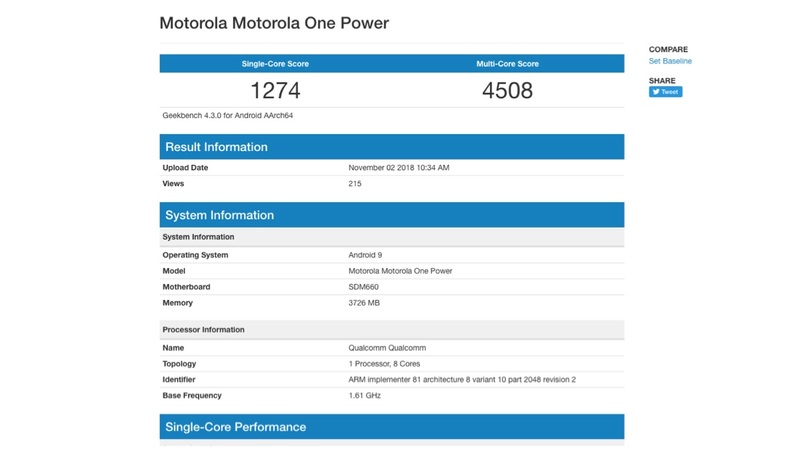 Comparing to the Moto One Power running on 8.1 Oreo, which had a single core score of 1332 and multi-core score of 4812. The scores have surely dropped after the upgrade but, this might not be the final release version and the company might tweak it prior to the official rollout. Sadly, any precise date for the update rollout is not available but the device will probably get it before the end of this month. 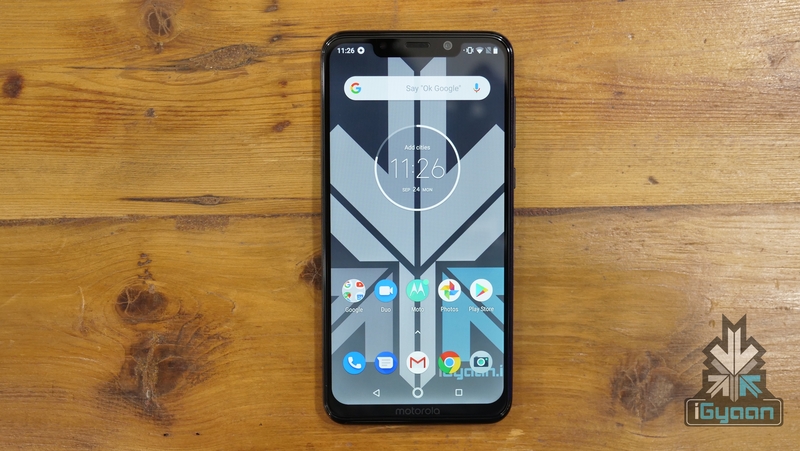 The Motorola One Power is available in black color and has a price tag of Rs 15,999. It is exclusively available on Flipkart.